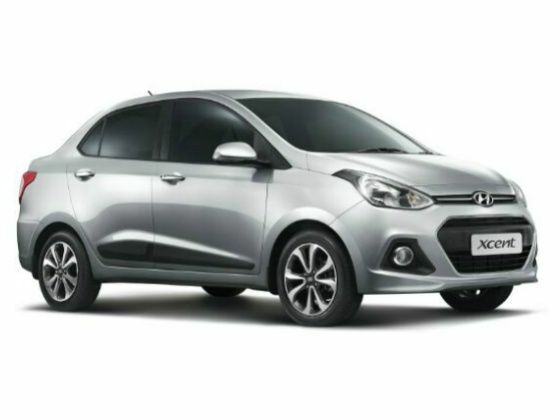 After discontinuing sales of Hyundai’s longest selling sedan, the Accent, Hyundai has now unveiled its Grand i10 based sedan at the 2014 Indian Auto Expo. The fact, that this new sedan has been named after the outgoing Accent, speaks volumes about its fan following. The Xcent is Hyundai’s attempt at making a place for itself in the sub 4- metre sedan segment. The Xcent will not only be based on the same platform as the Grand i10 but will also come with the same engine options – the 1.2-litre Kappa 2 petrol unit and the 1.1-litre diesel powerplant. We expect the power rating to remain unchanged. On the inside, the Xcent will be a familiar office for those who have seen the Grand i10. Hyundai will continue its trend of loading their car with equipments such as button start/stop, keyless entry, rear AC vents, reversing camera, Bluetooth telephony, steering mounted controls and the works. With the Xcent, Hyundai seems to have made all the right moves, on paper at least, but when you take into account its competitors like Maruti Suzuki Dzire, Honda Amaze and the soon to be launched Tata Zest, the Xcent will surely have a task at hand. The Amaze was Honda’s first ever diesel car which enabled them to establish a strong foothold in the sub-4 metre sedan segment. The petrol variant of the amaze underpins the same engine that works in the hatchback Brio. In both its variants, the Honda features a highly reliable engine that not only boasts of a fair bit of performance, but also takes pride in the efficiency it returns. If our assumption comes true, and the Xcent does boast of the same power rating as the Grand i10, it is definitely going to be a tough time for the new offering to compete against the likes of Amaze in terms of performance. The power rating of the Amaze in both the petrol as well as its diesel variant is likely to be higher than that of the Xcent. Having said that, it might just be on par with the Honda in terms of efficiency and gain a point or two, thanks to the features it has on offer. If the Honda itself wasn’t enough, the Xcent also has to battle against the ever reliable and the much loved Dzire. With a brilliantly tuned 1.3-litre DDiS engine and the trusted 1.2-litre K-Series petrol unit that offers a good balance of performance as well as economy, the Dzire has all the ingredients of a champion. But the long standing King of the ring, too, has its own weak spots. Maruti Suzuki cars have never really boasted of a long list of features. Moreover, considering that the Dzire hasn’t gotten a makeover in a while, it does looks dated. With the unveiling of the sub-4 metre sedan Zest, Tata Motors has given itself a new brand image with a more premium appeal and an all-new design language called ‘Designext’. The Bolt and the Zest get a new signature grille and more rounded and sportier styling. The interiors too receive a complete revamp with features such as the 5-inch touch-screen Harmann infotainment system with satellite navigation and Bluetooth. The X1 platform is the only thing that has been carried forward into this new generation of cars that are likely to hit the streets by mid-2014. This car will be available in the 1.2-litre Revotron petrol engine producing 85PS of power and 140Nm of peak torque and the 1.3-litre Quadrajet diesel unit that pulls with the assistance of 90 horses. Despite the change in the identity, it will be a while before consumers start considering the Tata as a premium brand which might just give Hyundai the first mover’s advantage. With two new offerings in this segment in the form of the Xcent and the Zest ready to take on the established names like the Dzire and the Amaze, the sub-4 metre sedan segment is lining up for a much needed change. Now, whether or not both these cars will be able to win the battle is something which only time can unravel but no matter who takes the trophy, someone looking for a car in the Rs 5-8 lakh bracket is sure to be spoilt for choice.